Roller Board Transfer Device, 25"
Transfer patients from one surface to another with minimum effort. Reduces the risk of back injuries. Aluminum rollers allow easy gliding motion. Easy to clean replacement vinyl covers available. 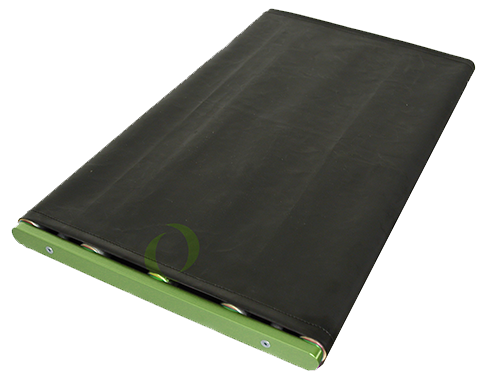 Roller Board Transfer Device, 30"
Roller Board Transfer Device, 67"
Patient Transfer Roller Board - 25" x 15"
Patient Transfer Roller Board - 30"